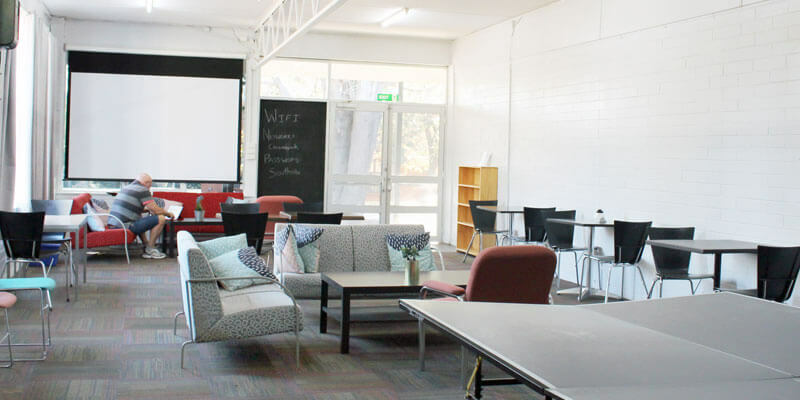 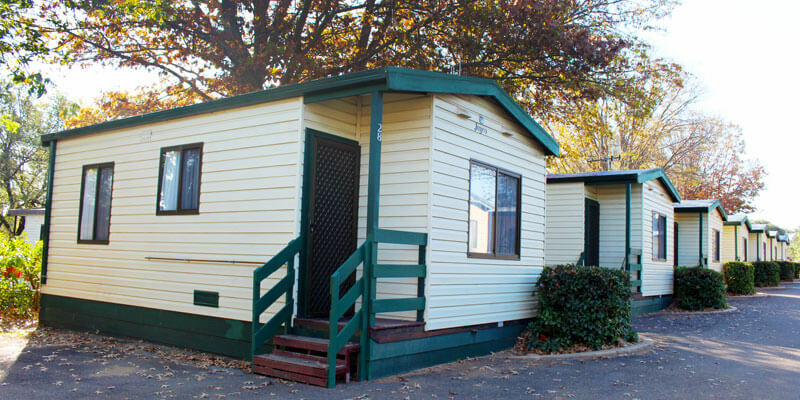 Budget long term accommodation Canberra. 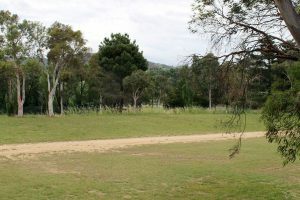 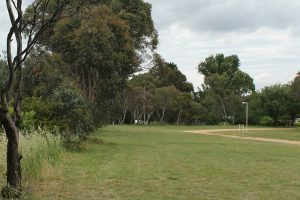 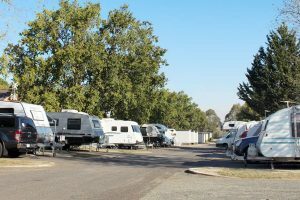 Fyschwick caravan park, 20 minutes from Canberra. 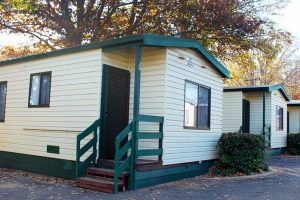 Our budget ensuite cabins are suitable for couples or small families. 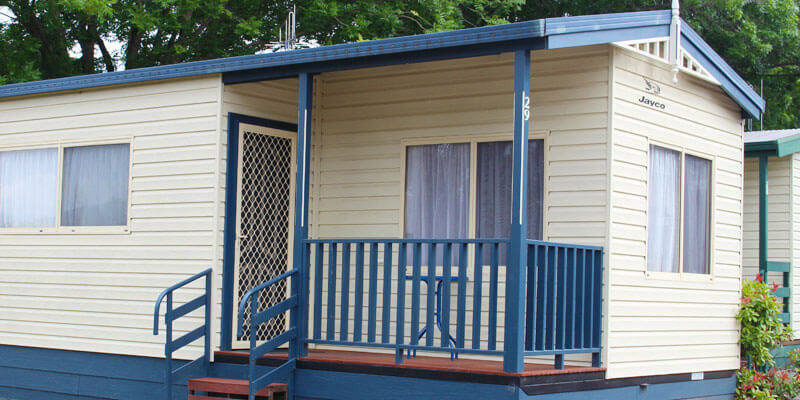 There is a double bed in living area and a small bedroom with four bunks (not suitable for adults). 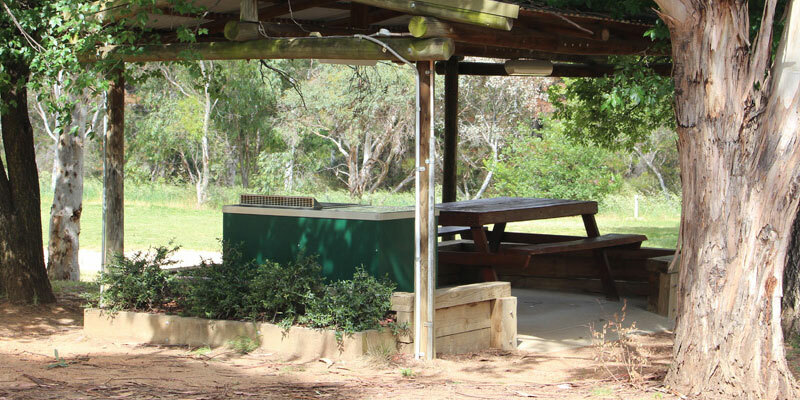 You are required to provide your own bedding for this cabin (ie. 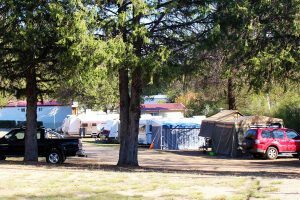 blankets, sheets, pillows and towels). 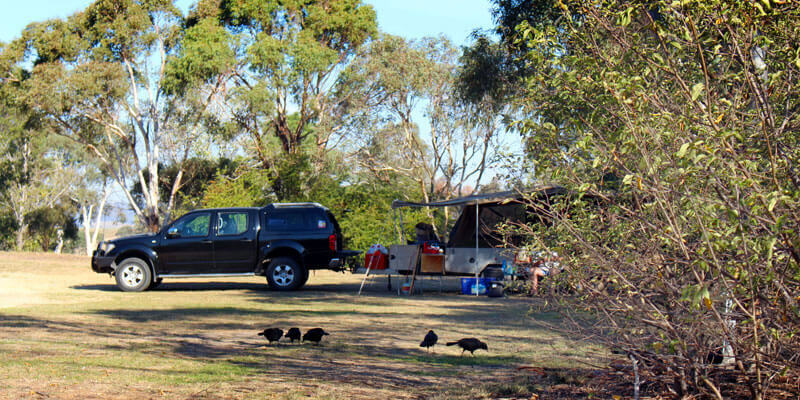 The kitchenette has cooktop, fridge, crockery, cutlery, kettle, toaster, microwave and TV. 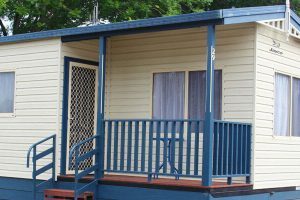 These cabins are air conditioned. 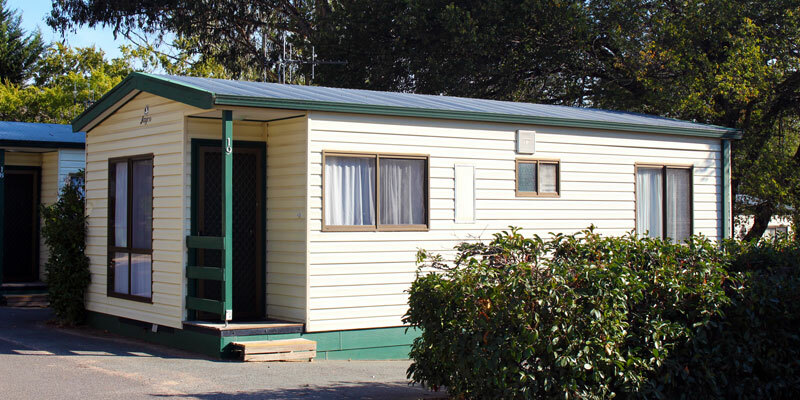 Conditions:  Deposit of the first nights tariff is required  at time of booking. 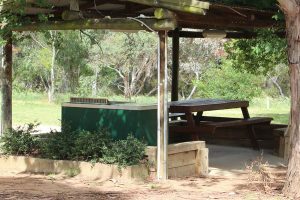 Check in is from 2pm and check out by 10am. 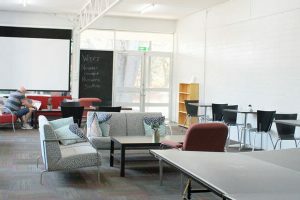 Cancellations less than 48 hours notice will forfeit deposit. 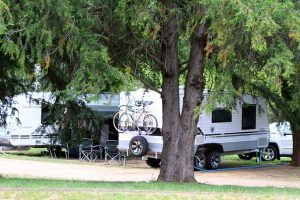 Cancellation fee is $50.00. 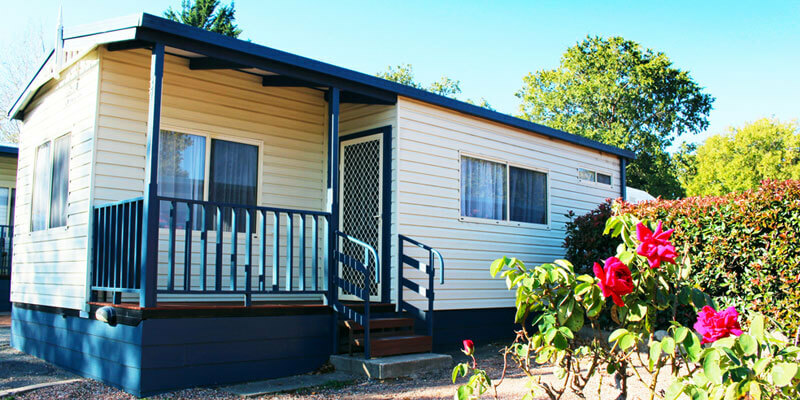 Balance of account is payable on arrival. 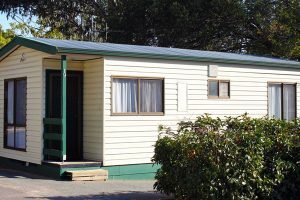 Rates subject to change without notice. 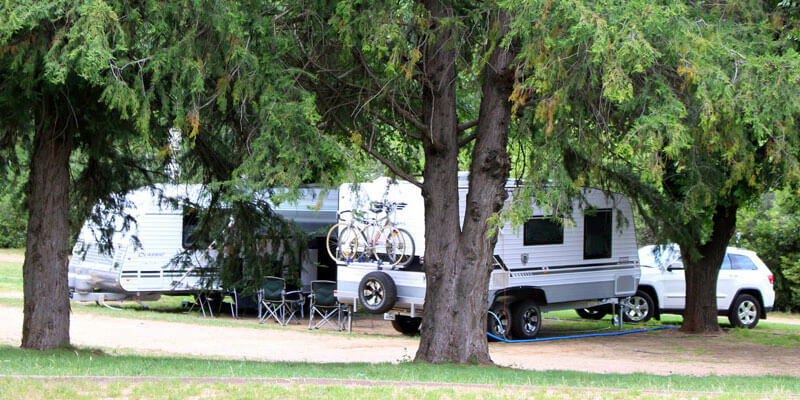 Peak Rates apply during school holidays, public holidays and special events. 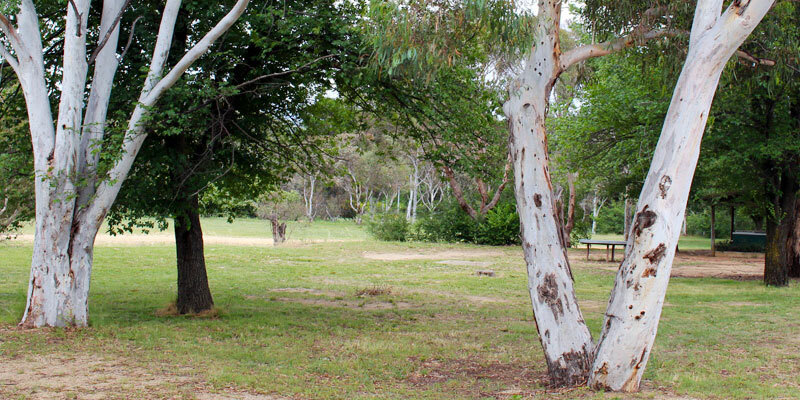 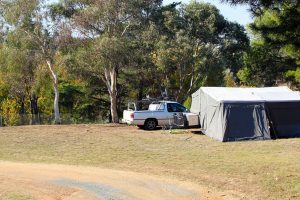 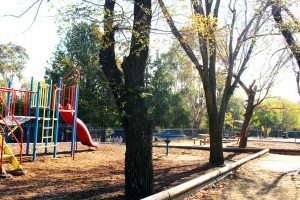 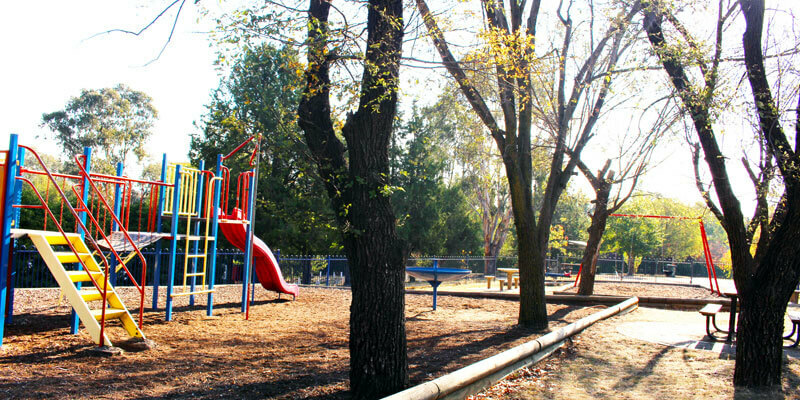 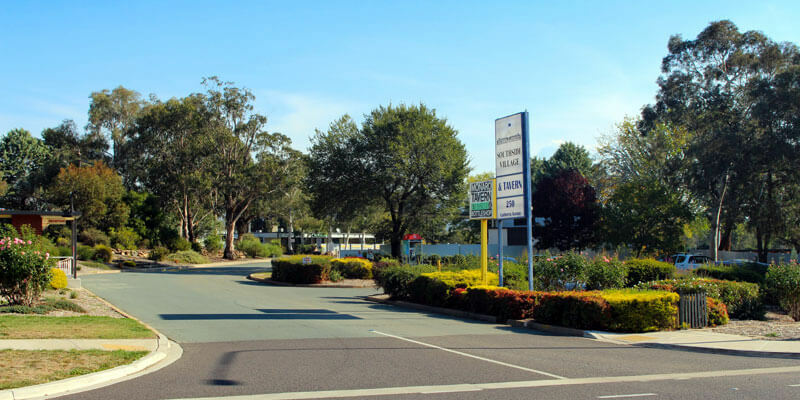 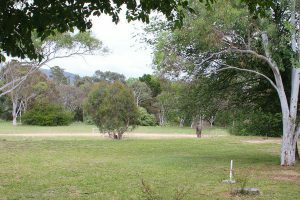 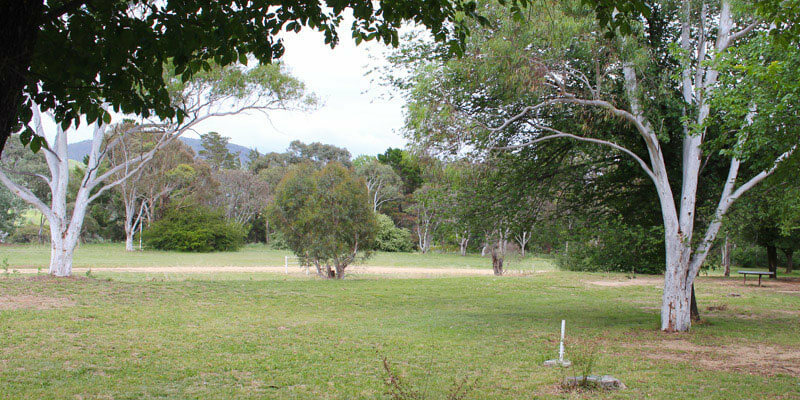 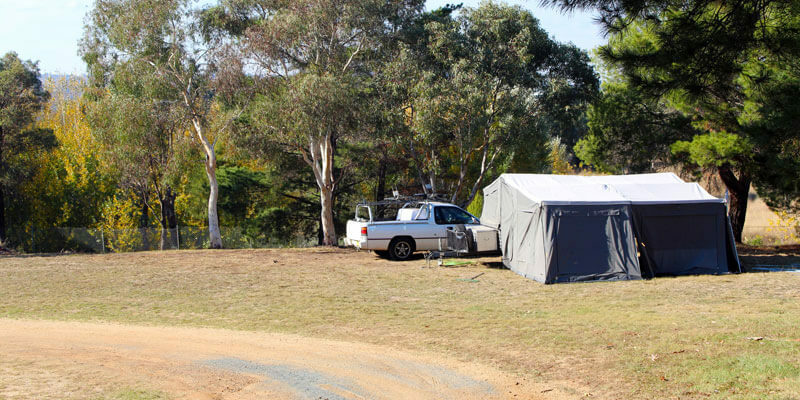 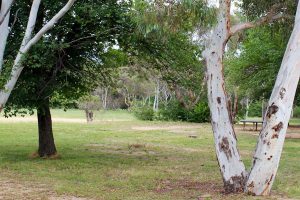 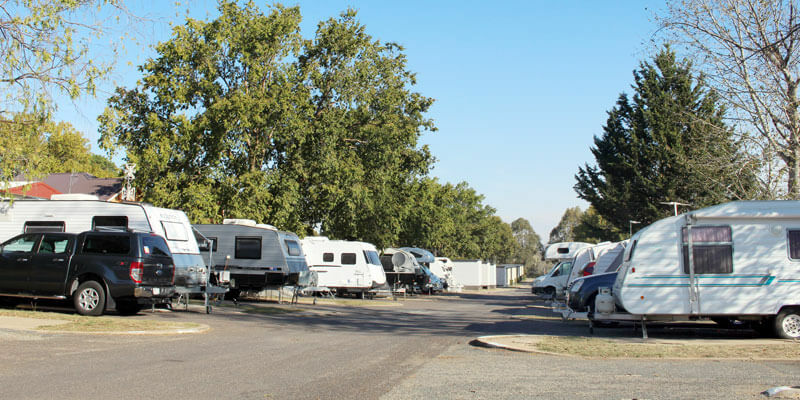 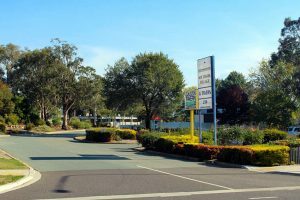 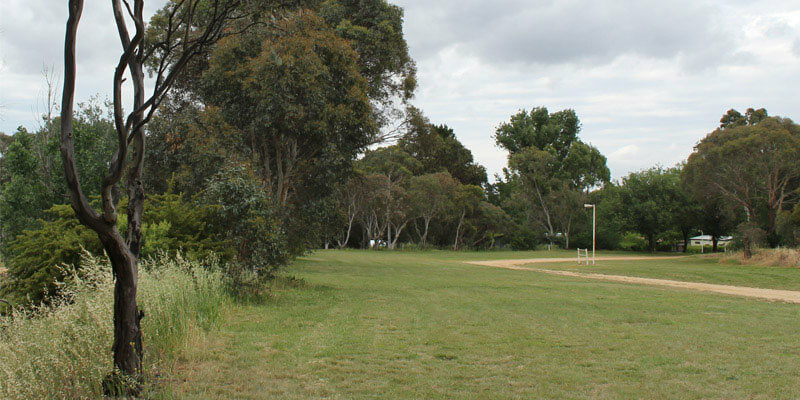 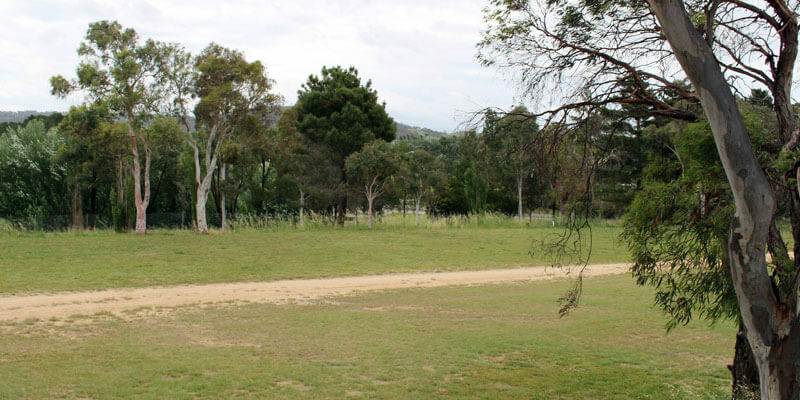 We are a south Canberra caravan park conveniently located in Fyshwick just a short 20 minute drive from the Canberra city centre. 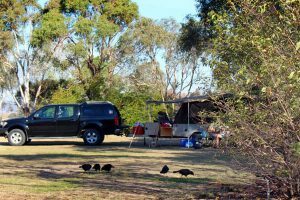 Nestled amongst large landscaped gardens and native Australian bush, our affordable accommodation choices include self contained furnished cabins plus powered and unpowered caravan and camping sites. 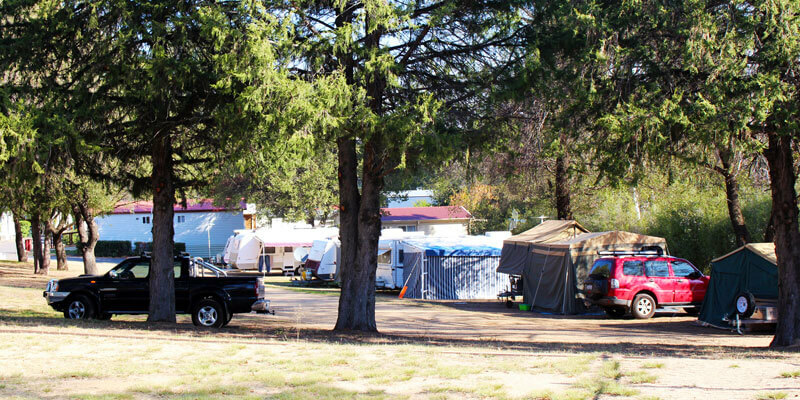 We are AAA rated 3.5 star motel with great rates. 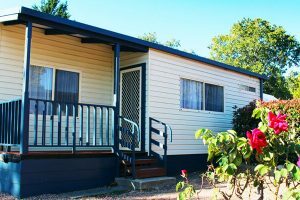 Whether you’re seeking a quick getaway, fun-filled family holiday or long term accommodation due to work or travel commitments, we have a choice of accommodation available to suit your budget and requirements.